Samantha and her husband had a wonderful time exploring some of the sights from the Sound of Music. Today she shares Part 2 of their tour. Samantha and her husband had a wonderful time exploring some of the sights from the Sound of Music. Today she shares Part 1 of their tour. By a vote of Europe's Parliament, switching between daylight and standard will end in 2021—but each country is free to choose which it will stay with. With an Alpenhorn blast to start the ceremonies, Viking launches a fleet of new river cruisers in four different cities. Gumbo was visiting the lovely Ljubljana Cathedral, dedicated to the patron saint of fishermen and boatmen. The church has a beautiful Baroque interior. Planes will keep flying between the UK and the EU even if Britain leaves the UK without a deal—but only for a year. 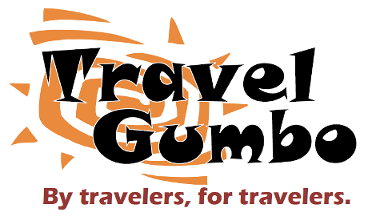 DrFumblefinger loves food and enjoys food tours as a way of getting to know the food culture of a destination. This tour in Milan didn't disappoint. Two cities will be honored for 2020, along with four runners-up. While in Vienna, Samantha and her husband spent a few hours checking out Austria's playground, the Prater. The giant Ferris Wheel is the draw to the park, but there is so much to see and do. GarryRF brings us a photo of this 13th-century stronghold. DrFumblefinger visits Lake Bohinj. the largest lake in Slovenia and one of it's more beautiful natural settings. The lake is framed by the Julian Alps and Triglav National Park.